After research and analysis to decide the objectives of your destination marketing plan, your task as a DMO is to define the marketing strategies that will build your region and drive tourist traffic. Most national, regional and local tourism bodies have tight budgets, which makes it even more important to have a smart approach to your marketing. Here are the strategies that we've found have the highest return on investment for destination marketers across the board. Get data-driven insights, best practice case studies, and action points in our latest research report, Making Experiences the Cornerstone of Destination Marketing. 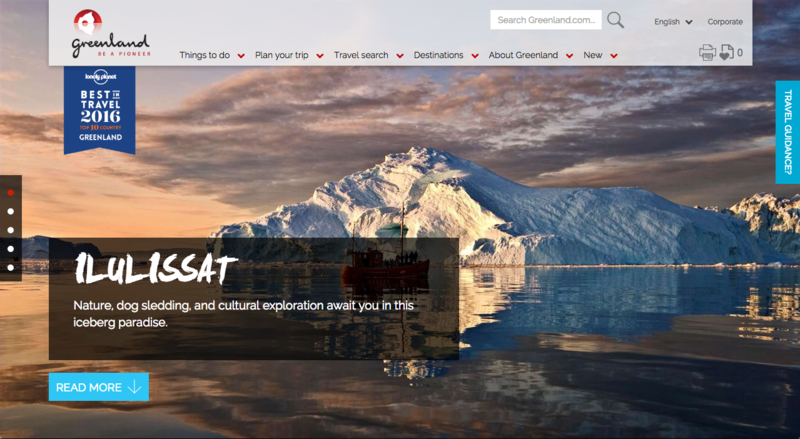 There's no doubt about it: destination marketing organisations are judged by their websites. You can't turn a blind eye to your website if it's looking outdated, especially not when other DMOs are doing such an outstanding job. It's also crucial to be mobile ready with a responsive website. Mobile bookings in travel have grown by 1700% between 2011 and 2015, moving from 1% to 18% of online revenues (Frederic Gonzalo, 2016). Once implemented, you can easily track the results of your mobile-optimisation by monitoring average time spent on page, bounce rate, and conversion rates. Collaborate with your team, contacts, and hired experts to map out your web design, the fonts you use, the photos you put on your homepage, and the overall brand they contribute to. First impressions of a website are formed in 0.05 seconds, meaning that the above-the-fold content on your website (what you see before you scroll down) is crucial. Make your visual content marketing reflect your destination's aesthetics and character, make it compelling, and make it worth remembering. This will infuse everything you do. As 83% of tour and activity companies still work with traditional methods for their daily management, this means that digital customers are not able to encounter the products in an online channel (Phocuswright, 2016). There is a need for this to change fast, and for suppliers to realise that their business needs to get online to keep up with the wider travel industry. Your job is to provide a leadership role in unifying your region's many assets to market as one. One effective strategy to take this further is to encourage the use of a standardised booking system in your region. Not only does this allow you to share best practices, but also, having chosen software like TrekkSoft, you can build a network of suppliers that can cross-sell each other's inventory through the Partner Network feature. Go beyond destination marketing by accepting online bookings for local tours, activities, and attractions on your website. We've found that tour and activity companies generate up to 40% more bookings by opening up online bookings, and it's profitable for DMOs and DMCs to follow suit, just as Fjord Norway and Visit Cornwall have done. 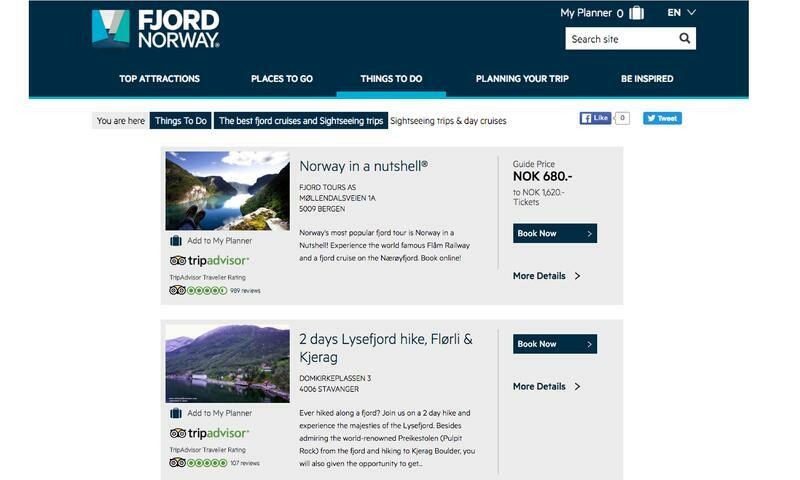 Read more about our partnership with the official tourism board of Fjord Norway. Instagram is where it's really happening for tourism companies on social media. This is especially the case for Gen Z, with the number of Facebook users on a steady decline while Instagram adoption continues climbing (Sparks & Honey, 2014). For many travellers, one of the first things they do in a new destination is to find out what the hashtag set by the tourism board to get their images shared. On a recent trip to Greenland, I used #GreenlandPioneer, while here in Switzerland we have #InLoveWithSwitzerland. Set a hashtag for your destination, market it, monitor it, and share the really high-quality visuals that are selling your destination at no cost to you. For the best Instagram marketing tactics for engagement and a growing follower base, check out our Instagram ebook for tourism professionals. #Repost from @exploremarco, thank you! ・・・ Yesterday's making 🇨🇭 postcards at lake thun. Content is huge: we're firmly aware of that here at TrekkSoft. We publish ebooks regularly and we have an intense posting schedule for our blog. We also focus on inbound marketing that provides our audience with information that helps them and gives them value at no cost. When it comes to your blog, also make sure to allow for some flexibility. Content calendars are great, but the power of random is powerful too when it comes to marketing your destination. If your content has a clear call to action - for instance to your website's bookable inventory or that of your suppliers - monitor conversion rates and see how your ROI changes with a content strategy in place. Build your content marketing prowess with our free writing skills handbook, downloaded by thousands for tourism companies. It's imperative that you understand your customers' mindset and properly align their experiences and expectations into one seamless moment, as Tom Martin encourages. This needs to flow into every customer experience that you provide, online and offline. "In the case of the person who purchases online and then wants to pick up offline, that experience expectation is grounded by two key psychological motivators: speed and convenience. Any experiential clue or activity that impedes convenience or speed reduces the customer experience enjoyment and throws the entire expectation vs experience equation out of balance." Perhaps your team monitors tweets of people arriving in your destination, so you can welcome them and mention the resources on offer at your tourist office. Or you might think of the free add-ons you can use to add value to bookings. It's import to align expectations and experiences and go beyond satisfactory customer service in your every action. PPC, or pay per click, advertising is useful for any business, but it's especially effective for destination marketing bodies. With Google AdWords, you can place ads within the searches that your target audience are making online, such as "Booking a trip to Switzerland". And because paid search caters to a market that has high intent, search ads typically result in higher CTRs and higher conversion rates than other types of advertising. You can also benefit from powerful Facebook retargeting, or showing ads on Facebook to those who previously visited your website. We explain the basics of Facebook retargeting here to get you set-up and receiving quick results. 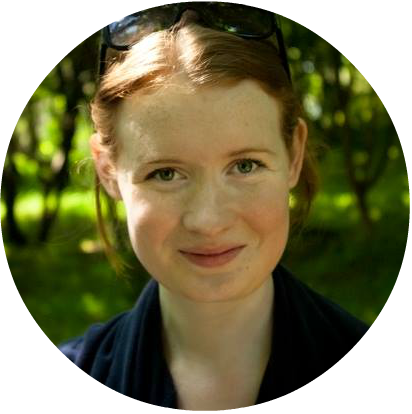 Lucy spent three years building TrekkSoft’s content strategy and inbound marketing approach. She now helps companies to find their voice, kick-start projects, and bring in processes that actually work for them. Lucy writes and shares her solo adventures on lucyfuggle.com.